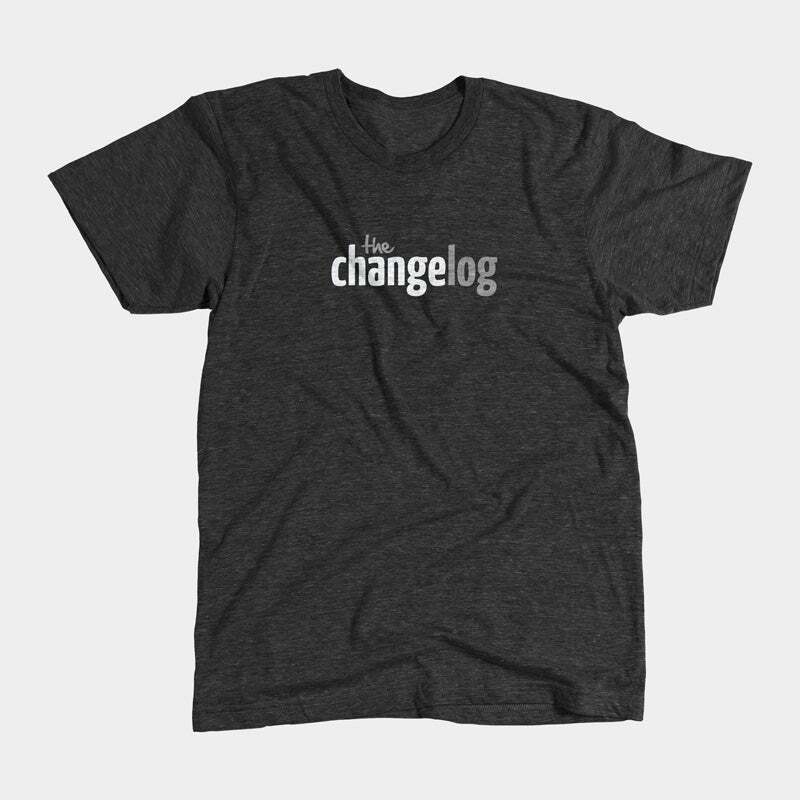 Pre-order your Changelog t-shirt today! If you’ve been waiting patiently to hack on your favorite open source projects while wearing a Changelog t-shirt, that day has come! We are printing our first batch of tees on a super-comfy black American Apparel tri-blend short sleeve track shirt. This initial batch is open for pre-order now and will begin shipping on May 17th, 2013. If you’re a member, sign-in and save 20%! Special thanks to Jack Moore and jQuery Zoom for making it too easy to add the “hover to zoom” feature.